Tomorrow is our second day of school for the 2017-2018 school year, and our first day homeschooling as part of Regina Caeli Academy! One of the primary reasons we've chosen to homeschool our children is so that they can experience their faith as an integrated part of their education and lives. Of course, that means we get to celebrate the Liturgical Year and special Feast Days together! 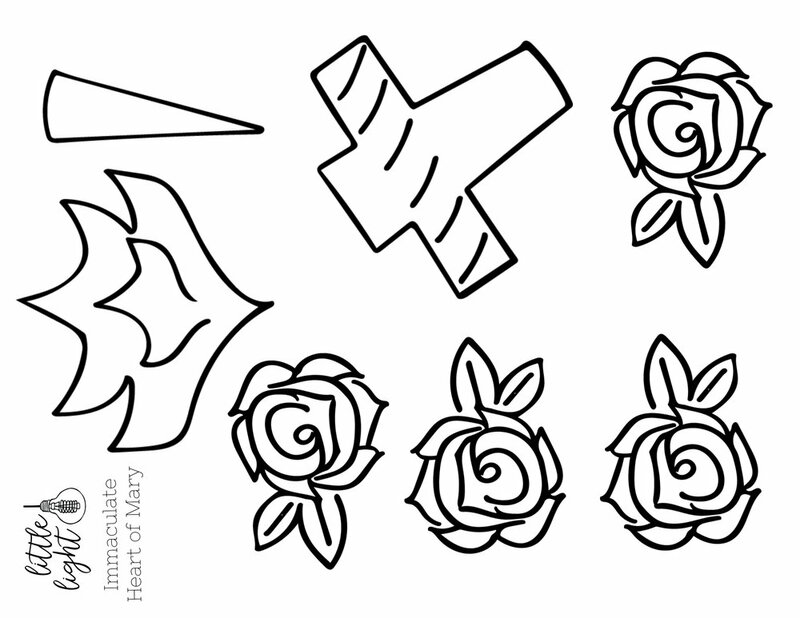 With a Kindergartener and First Grader, scissor skills and fine motor work are high on my list - I wanted to create a printable for the Feast of the Immaculate Heart of Mary that would incorporate coloring and cutting! As we work on this project tomorrow, we will talk about the symbols depicted in the image of the Immaculate Heart! Fire - a symbol of how her Heart burns with love for Jesus and for us. Sword - a symbol of Mary's sorrows (discuss Mary's Seven Sorrows and pray the Seven Sorrows of Mary while we color and cut!). White Roses - a symbol of Mary's purity. I hope this printable enriches your celebration of the Immaculate Heart of Mary! If your children love it, be sure to snap a photo and tag me on Instagram (@familydodge)!